Born into a family of musicians in Moscow, Karine Georgian is today one of the outstanding exponents of the golden generation of Russian string playing. She began her cello studies at the age of five under her father, a well-known cellist and teacher, later studying seven years with Rostropovich at the Moscow Conservatoire. After taking the First Prize and Gold Medal at the Third Tchaikovsky International Competition, she launched an international career that has spanned all the countries of the former Soviet Union, Eastern and Western Europe, the Far East and the United States, debuting in Carnegie Hall with her compatriot Aram Khachaturian conducting his Cello Concerto, and the US premiere with the Chicago Symphony of the same composers Cello Rhapsody, also under the composers baton  their subsequent recording back in the Soviet Union with the USSR State Symphony Orchestra is no longer in the catalogue but can be heard on Youtube (there are three files). Today Karine Georgian continues to bring her wealth of experience performing around the world to the concert platform, having appeared with many of the leading orchestras and conductors of our time. Her repertoire encompasses more than forty concertos and a huge range of instrumental and chamber music. 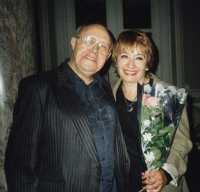 She has been associated with leading composers of our day, several of whom have written works for her. These include Alfred Schnittke (Hymn No. 4), Tigran Mansurian (Cello Concerto No. 2), Alexander Goehr (Sonata for cello and piano, op 45), Dmitri Smirnov (Cello Concerto, premiered with the BBC Philharmonic in 1996), Howard Skempton, and Elena Firsova (Chamber Concerto No. 5). 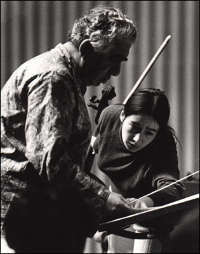 Karine Georgian gave the US premiere (1989) of Schnittkes First Cello Concerto in Carnegie Hall with the American Symphony Orchestra, and the Australian premiere (1994) of Brittens Cello Symphony with the Sydney Symphony Orchestra. Most recently Karine Georgian has become a founder member of the London Soloists Ensemble, which has just completed its first season as Associate Ensemble of St. Johns Smith Square. Their new recording of the two piano quintets by Vaughan Williams is due for release in May 2014. 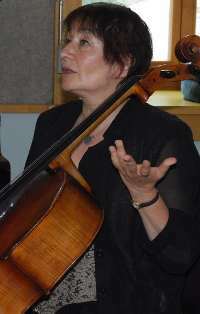 Karine Georgians current discography on the Chandos, Hyperion, Biddulph, Somm Recordings and Alto labels are listed on a separate page. A new recording for Naxos of transcriptions for cello and piano of works by Robert and Clara Schumann was released by Naxos in March 2011. For biographical notes to use in concert programmes and high-resolution images, see the Press and promoters page.